Why isn’t my baby teething? 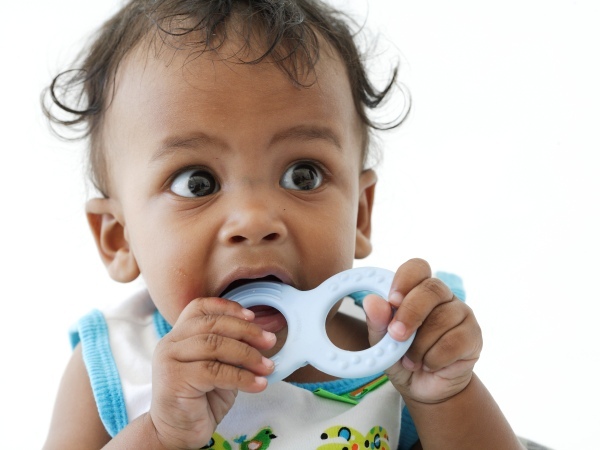 The age at which babies start getting teeth can vary greatly from one child to the next. However, if you’re starting to become worried about your little one’s toothless grin, read more here. Genetics: Ask your parents whether you were also slow to start teething. The development of your teeth is greatly dependent on your genes. Gender: Girls are inclined to start teething at a younger age than boys. Bad eating habits: Vitamin D and calcium deficiencies could lead to poor teeth development. Make sure your baby gets enough breast milk (if you’re breastfeeding). Hypothyroidism: Babies with underactive thyroids often take longer to teeth and develop. If your baby’s first tooth still hasn’t appeared between 12 and 15 months, experts suggest you take your child to a paediatric dentist.